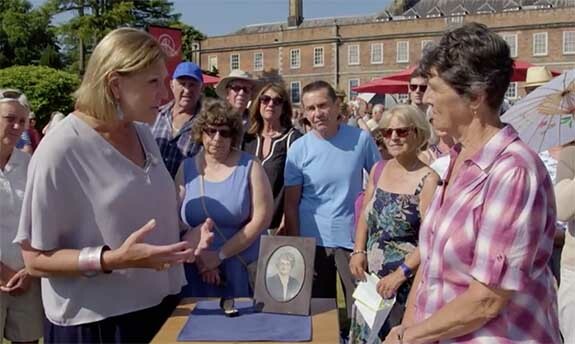 An emerald engagement ring that survived the fateful final voyage of the Titanic in 1912 made a surprise appearance on BBC’s Antiques Roadshow this past Sunday. 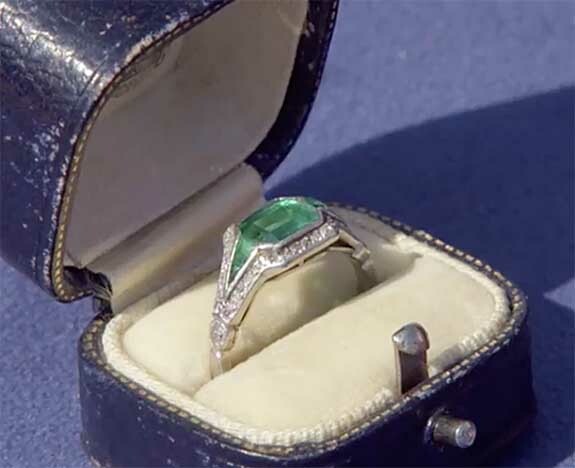 The ring, which features an emerald center stone flanked by smaller emeralds and diamonds in a platinum setting, was owned by the guest’s grandmother, who was newly married and only 18 years old at the time. 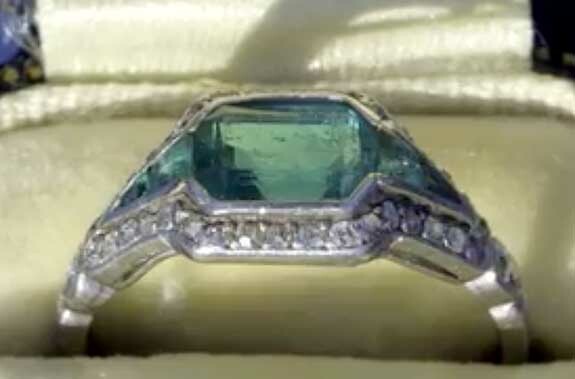 Hardy noted that she was surprised that the emerald ring has remained in such stunning condition. 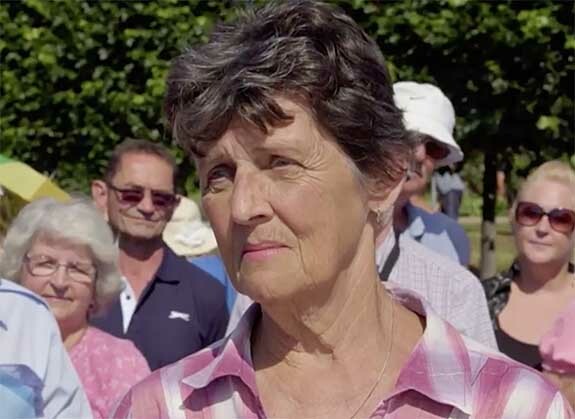 “The fact it has survived [the sinking of the Titanic] is quite incredible,” she said. “That makes me have goosebumps just to think about it,” Hardy responded. The expert then offered two valuations for this special family heirloom. 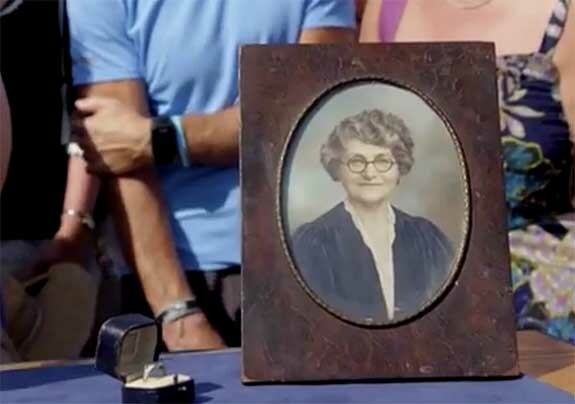 Without considering the provenance of having traveled on the last voyage of the Titanic, the ring would be worth £6,000 to £8,000 ($7,726 to $10,296), she said. If the ring’s presence on the Titanic could be verified, its value could easily jump to £30,000 ($38,612) or more, Hardy added.